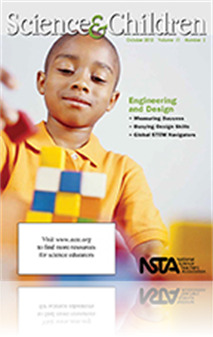 An opinion piece that aims to engage elementary teachers with key engineering components in the NGSS, including conceptual shifts, disciplinary core ideas, and practices to effectively wield the standards as a transformative tool for classroom instruction. It is the hope of this author that the NGSS will launch the next generation of students into a group of innovators. She believes this because the Framework engages students in science and engineering practices, crosscutting concepts, and disciplinary core ideas which integrate engineering and technology. She further elaborates by discussing the implementation of Engineering Design as a core idea and practice in the elementary grades. This is a call to arms for elementary teachers to start preparing our future innovators and this article is a must read for all elementary teachers.